Another go-to gift I've done is given each student a book along with a personalized bookmark. This is great for years when you have a lot of allergies to be mindful or want to get away from sweets. Scholastic always runs great holiday book pack options and has rotating $1 deals. I love being able to use my Scholastic points to grab the books for free too! 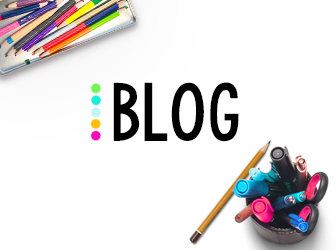 Click the photo below to see how Jamie of Diary of a Not So Wimpy Teacher creates a class book auction, and gives you step by step details to create your own. 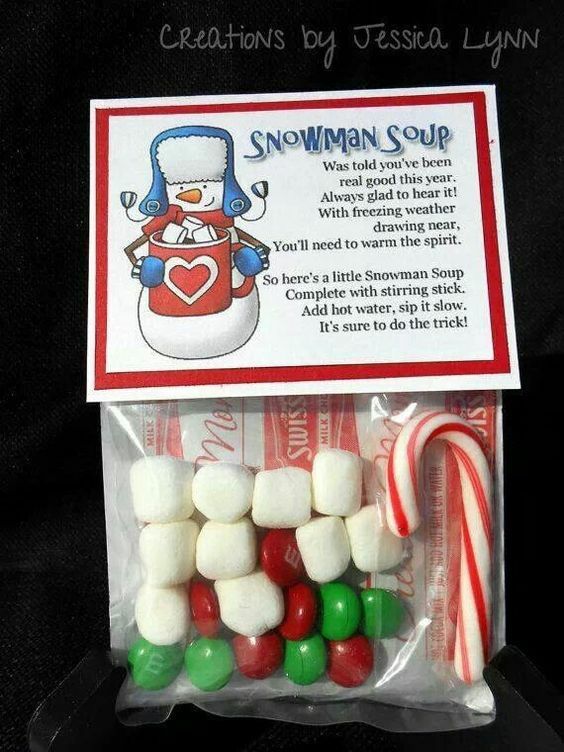 I love her idea and can't wait to try it this year! 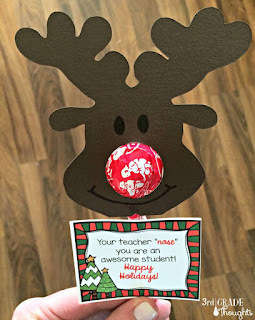 Click HERE to snag my FREE student holiday bookmarks! Homework pass more your style? Grab that here. 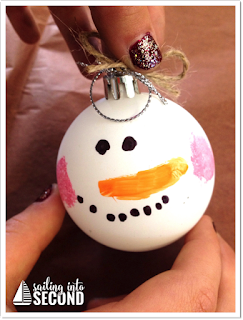 There are a million and one ways to dress up a plastic ornament for your students this Christmas. Here are a few of my favorites. Click the image for instructions. *Buy plastic bulbs from Michaels (mention you're a teacher for the discount! ), some acrylic paints, and glitter. 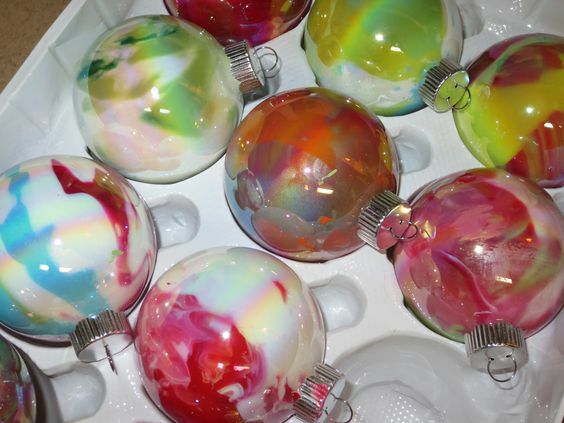 Pour a little bit of paint and glitter into each bulb and swirl itaround to get this type of an effect. 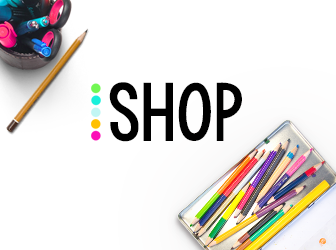 Add their name & school year with a marker for a more personalized touch. 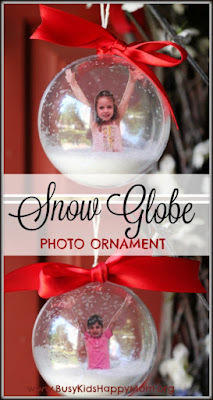 *Cut out a silly picture of your students, fill the ornament with fake snow, add a ribbon and voila! Pure adorableness. 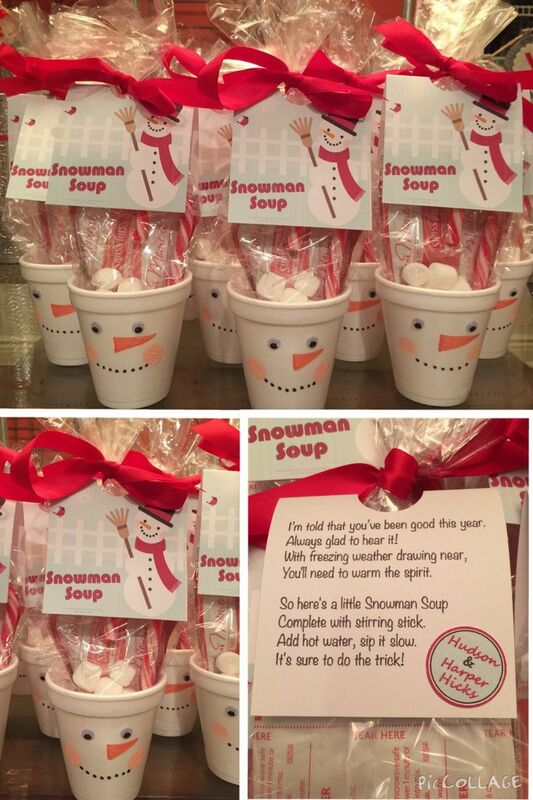 *Buy white oranments, paint a snowman face on, add student's name and year. 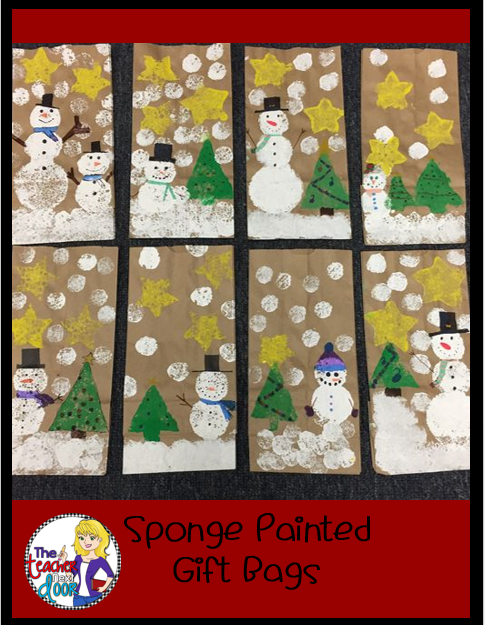 Aris from Sailing in Second had her students create these in centers, but they'd be easy to make and give as student gifts too! Brooke Brown has done it again y'all. This is the cutest and probably most popular holiday gift I've given my students. 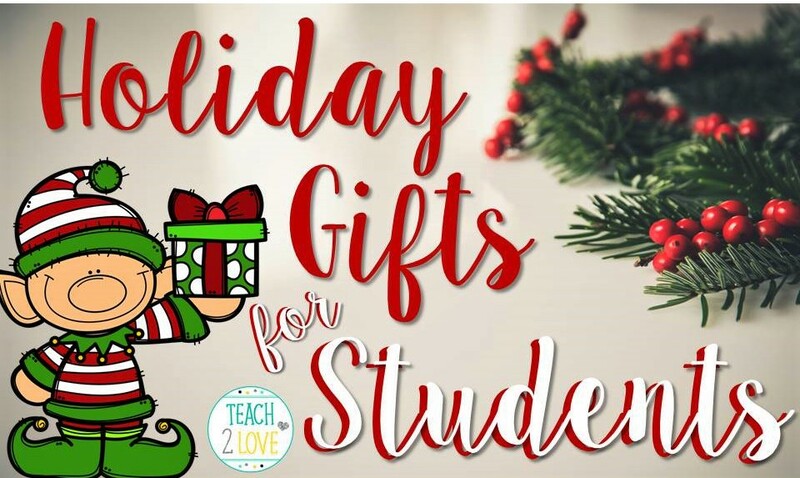 She's sharing this wonderful STEM based gift with you for FREE. 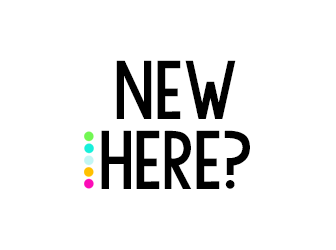 Click here or the image above to check it out. 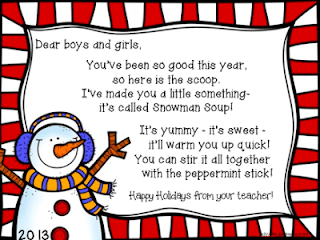 Gift your students a fabulously engaging, educational, and fun treat this winter. Major bonus: it's less than $1 per student! 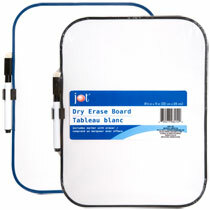 5- Whiteboards - and marker! This year I have appreciated non-treat gifts SO MUCH. I have a handful of students with severe allergies and creative little gifts like this are so inclusive and great for everyone. 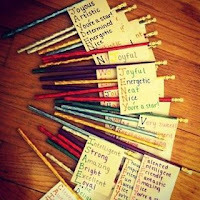 Check out what The Room Mom posted as a back to school idea but would work great with Target's super cute dollar holiday pencils too! We're also half way through the year so you can really come up with fitting adjectives for your kiddos. What student wouldn't fall in love with this sweet treat? 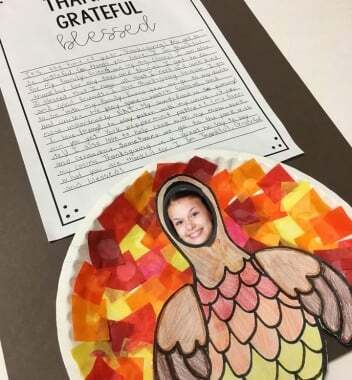 Third Grade Thoughts give you this template so all you need is paper, scissors, and lollipops. Click here to read more about how she creates these tasty masterpieces. 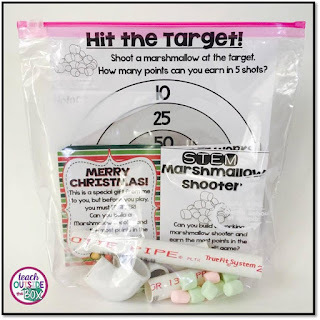 Give your students a fun way to keep up with their math facts this break! You can grab this FREE printable (pictured below) from the amazing Jamie at Diary of a Not So Wimpy Teacher. There is both an addition and multiplication version (perfect for differentiating to your kids' needs). Grab a pack of 2 card decks for only $1 at the Dollar Store. 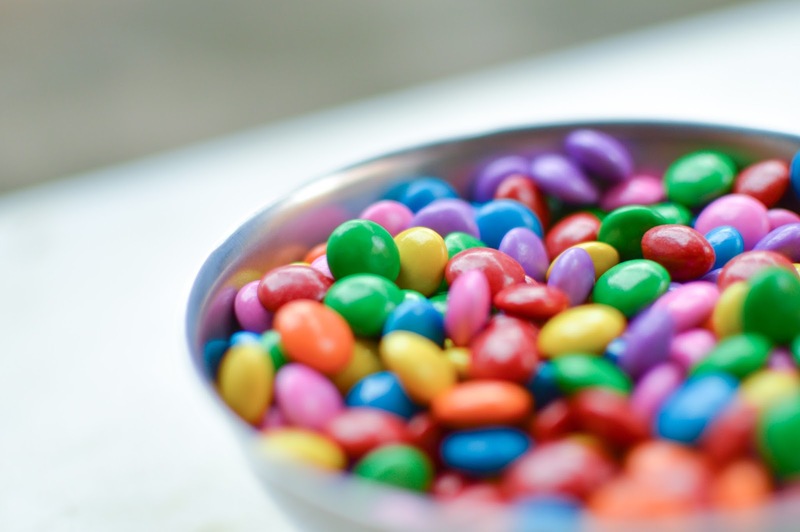 Students love creating...and they love candy. 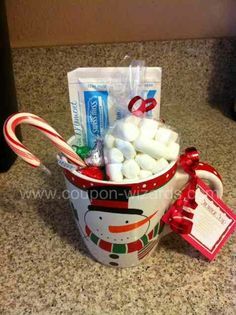 Why not have a mini candy bar where students can fill goodie bags (brown paper bags) that they've had fun decorating with their favorite treats? 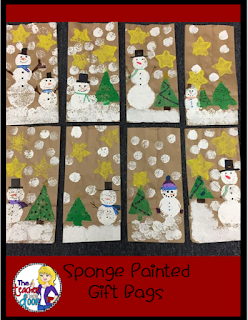 I love The Teacher Next Door's post on how she incorporated creating bags with her students. 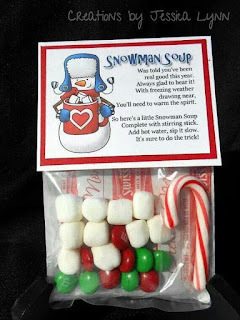 Add some colorful bowls of candy and you'll have cheerful little elves. 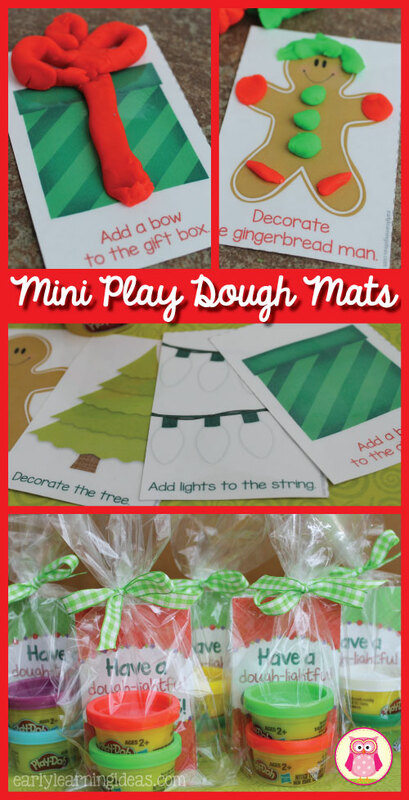 I think these free printable mats are from Early Learning Ideas are absolutely perfect. Just add Play-Doh and you're ready to go. I can see even upper elementary students really enjoying these. 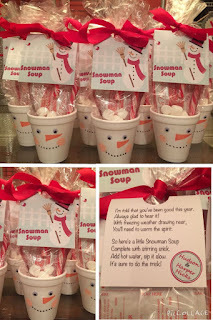 Click here or the photo below to grab her freebie and read more about how she prepares this cute gift. Have a favorite gift that you give? I'd love to hear about it in the comments! You can also narrow down the search in terms of the price. Most of the items are available to personalize if you find something specific items. While big name photographs at times show up, Christy Turlington Anti Aging a great part of the blog centers around drugstore beauty finds and beauty tips for everybody.